Pippi in her most adventurous tale yet! 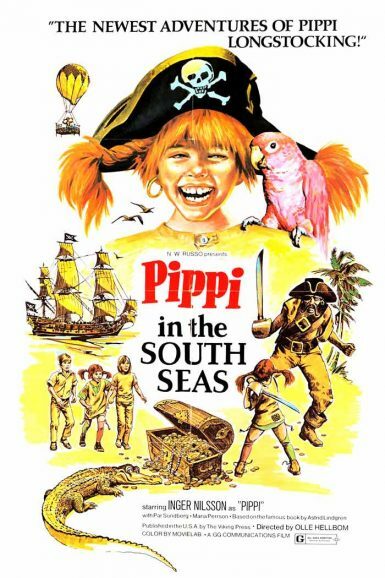 Our plucky pigtailed heroine flies off with friends Tommy and Annika for a charmingly chaotic, amusingly eccentric quest to rescue her salty, seafaring father from a band of pirates in Pippi in the South Seas. Warmly remembered for being a weekend tv staple in the ‘70s & ‘80s, the time is ripe for a full-fledged revival of our childhood hero!